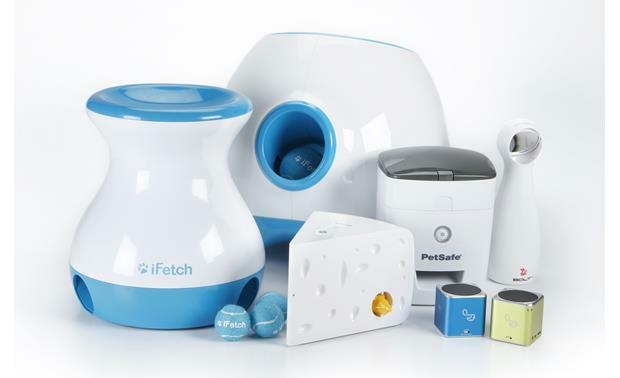 Drop a mini tennis ball in the top of the iFetch Frenzy, and watch your canine friend try to figure out where it will come out. 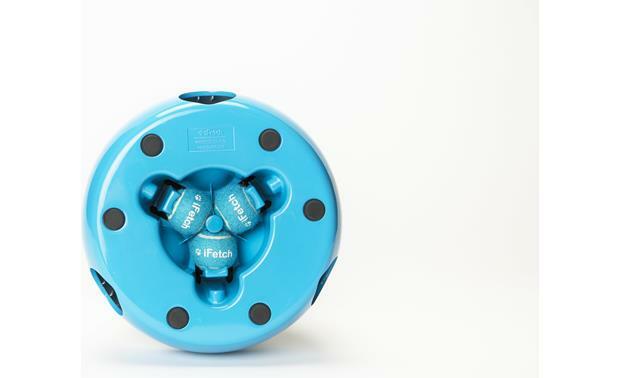 The ball randomly drops out of one of three holes at the bottom for your dog to chase — surprise is at least half the fun. 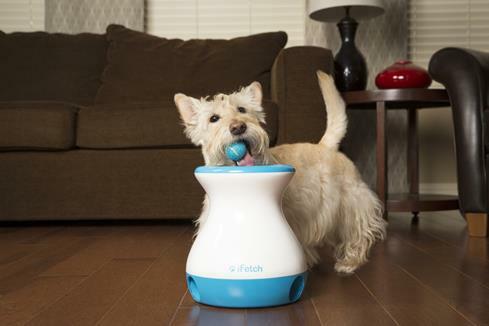 Teach your pooch to reload the Frenzy, and he'll have hours of fun. The Frenzy comes with three 1-1/2", non-abrasive tennis balls to get you started. Gravity does the work, so you don't have to worry about charging batteries or plugging it in. Our saint is having a blast with this toy.It took a few tries for her to learn she gets the ball back.But works great just need the largest size since our dog is 189lbs and this I believe is meant for small dogs. Can you get extra balls? 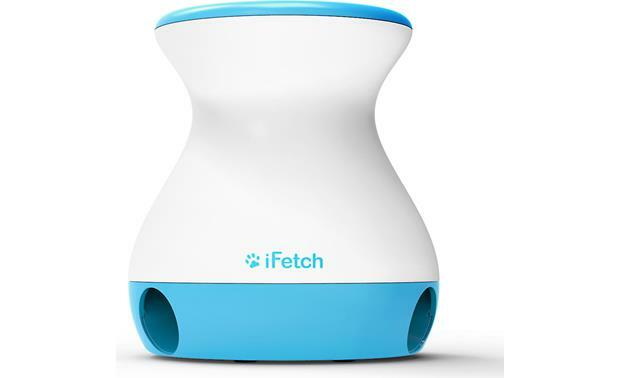 Overview: The iFetch Frenzy is an interactive, gravity-driven fetching toy that will keep your dog (and you) entertained for hours. When you insert a 1.5" miniature tennis ball in the top, the ball randomly rolls out of one of three chutes in the base. 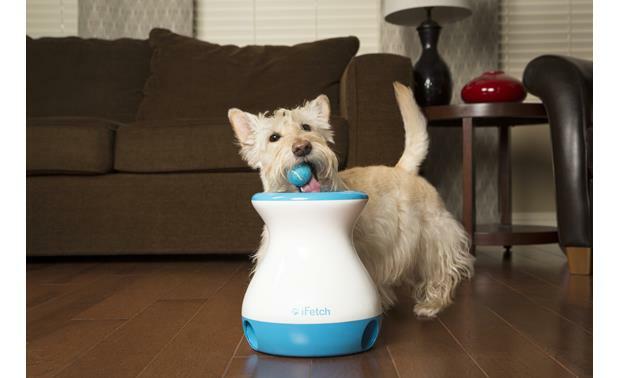 iFetch Frenzy provides great mental and physical exercise for your pet. It requires no batteries or AC power -- it is not electronic. 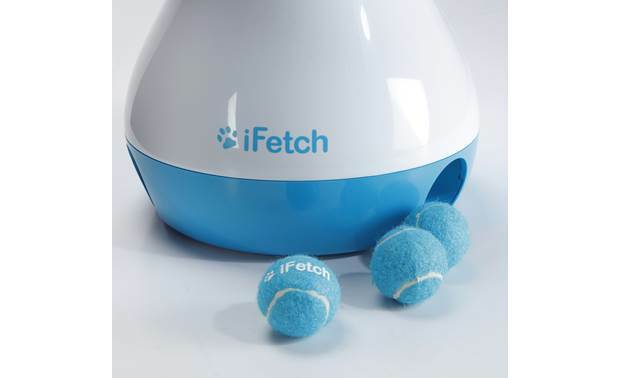 Three miniature iFetch tennis balls are included, and can be stored in a hidden compartment on the bottom. 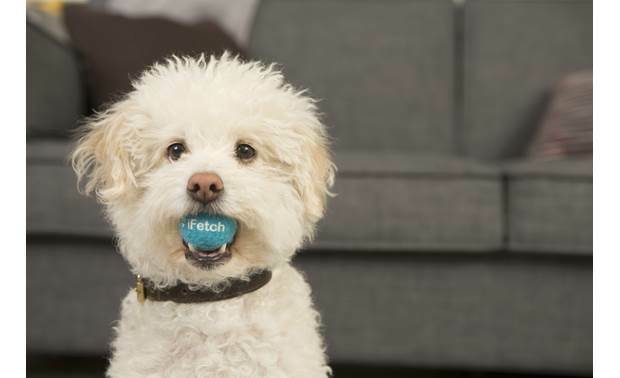 iFetch Frenzy is recommended for small to medium-sized dogs. 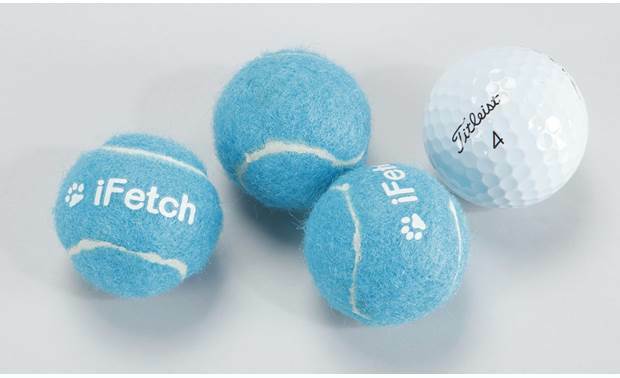 iFetch "Tuff" Balls: The iFetch miniature "Tuff" balls that are included with the iFetch Frenzy are felted like regular tennis balls, but are made for dogs, and are non-abrasive on their teeth. Additional miniature "Tuff" balls are available in a 5-pack. How tall is it? My dog will have to be able to put the balls back in herself. I see this question has been asked before but it doesn't quite seem that anyone really gave the height. About as tall as a roll of paper towels. How tall is it? I have a dog that is 5 pounds. I want him to be able to load it himself. How tall is it? My dog is only 5-1/2 pounds. 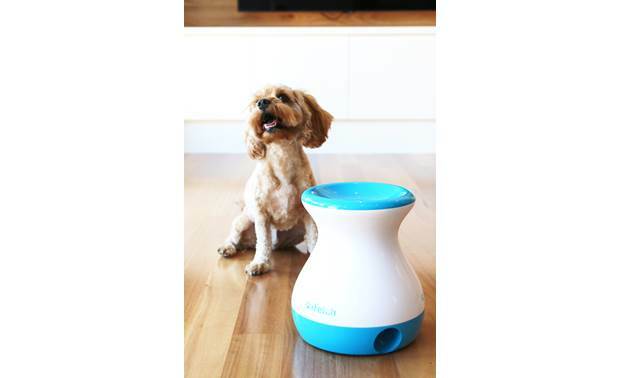 The balls are dispensed from the bottom, your dog doesn't have to reach the top. He/she just has to chase after them. Will the ball roll very far on carpet? How far does the ball go? Will my dog get to chase it down the hall or will he get it as soon as it's launched? The "Tuff" balls will randomly roll out of one of three chutes in the base so, no. 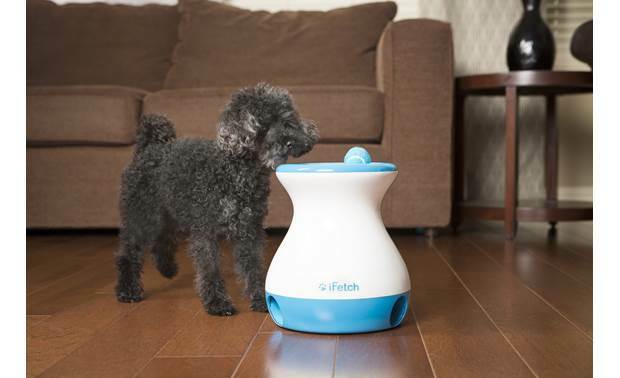 the dog should not be able to get the ball as soon as it is launched. 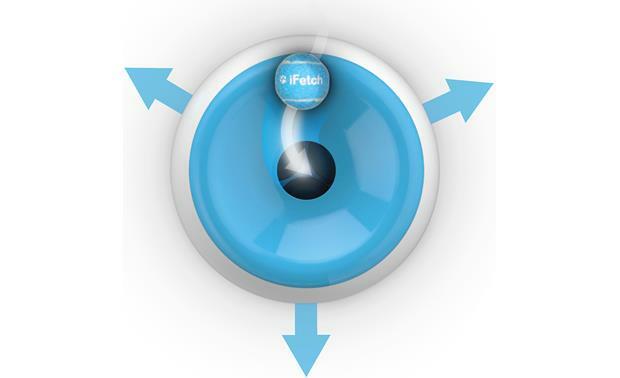 Searches related to the iFetch Frenzy Interactive ball game for small to medium-sized dogs.